● Your digital file printed on to premium quality Epson canvas which is then stretched around durable pine stretcher bars. ● The stretcher bars are available in 5/8",1", 1.5", 2", 2.5", and 3" thicknesses. ● The canvas wrap options are mirrored, overflow, solid color, or custom designed border. 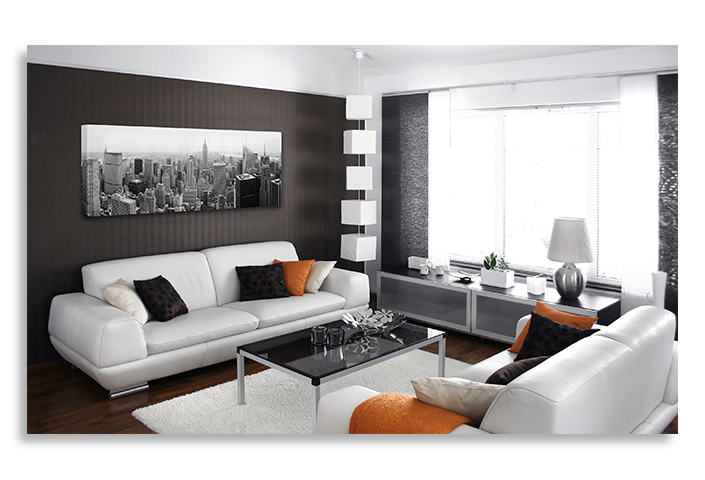 ● The Gallery Canvas comes with a wire hanging system and felt pads to protect your wall. ● The staples are covered using black linen tape for high quality finished look. ● Our canvas products are sealed with a UV resistant laminate before stretching, completely preventing ink loss on the edges of the finished product. ● Each gallery canvas can be cleaned using most house hold window cleaning products.